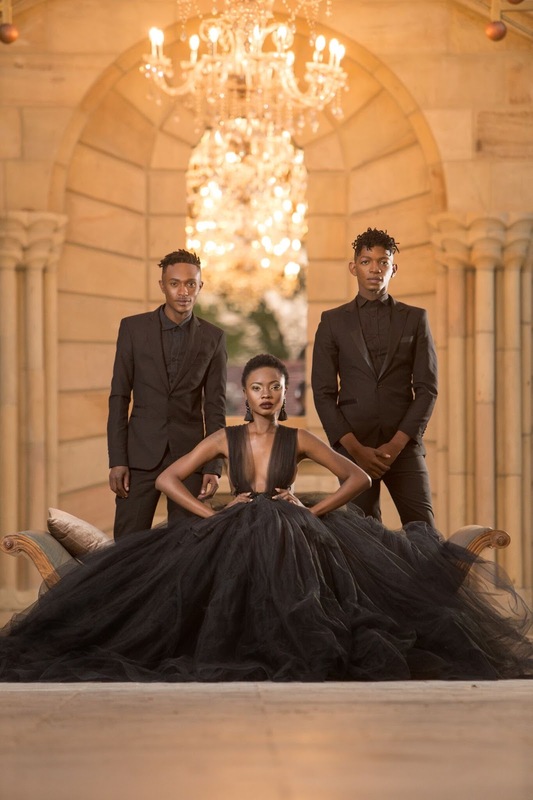 Fashion designers, Quiteria Lebohang Kekana and George Malelu received an invitation to showcase at the very first French European Indian (FEI) Fashion Week in Paris, after successfully showcasing their “Rise of the Phoenix” collection at the 2016 Durban Fashion Fair in September 2016. The FEI Fashion Week is the first fashion week in history to be permitted the opportunity to showcase at the Eiffel Tower in Paris. The Event will be showcased on the first floor of the Eiffel Tower, from Friday 21 October till Sunday 23 October 2016. The FEI Fashion Week producer and choreographer, Danny Moodliyar was challenged to select high end fashion designers to be part of this historical event and amongst many designers, he chose Quiteria & George. “I chose Quiteria & George, having seen the amazing work they’ve been doing with their fashion label, I could vouch their level of commitment, creativity and excellence in workmanship that they would be a perfect fit for this kind of an event”, says Danny. Quiteria & George always aim to tell a story though their designs to inspire, to create a change and to support currently existing movements in fashion. In their creative stance, they have managed to design couture garments of moving architectures, structured silhouette, graphic and intricate handwork elements on each of their unique designs. The collection is inspired by the rich cultural shift in Africa and modern glamour, which they reference through the use of rich print and patterns. The collection promises to show the world what South African has to offer in the creative couture fashion stance. “We are very excited and honored to showcase at this historic fashion event and most importantly to represent not just South Africa, but Africa to the world doing what we really love”, say the fashion designers, Quiteria and George. The President of The FEI Fashion Week event, Mr. Satish Reddy the Managing Director of WNN (World News Network) is very proud of his team for securing the Eiffel Tower as the venue for this event.